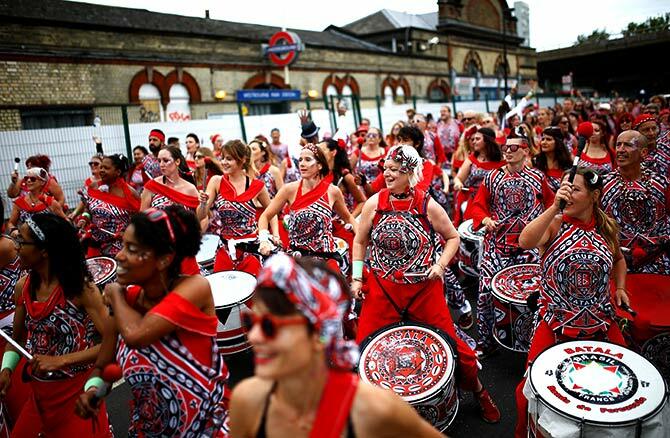 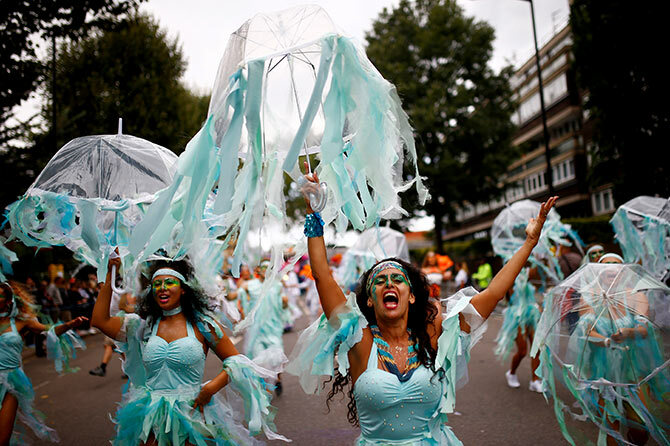 Rediff.com » News » The Carnival comes to London! 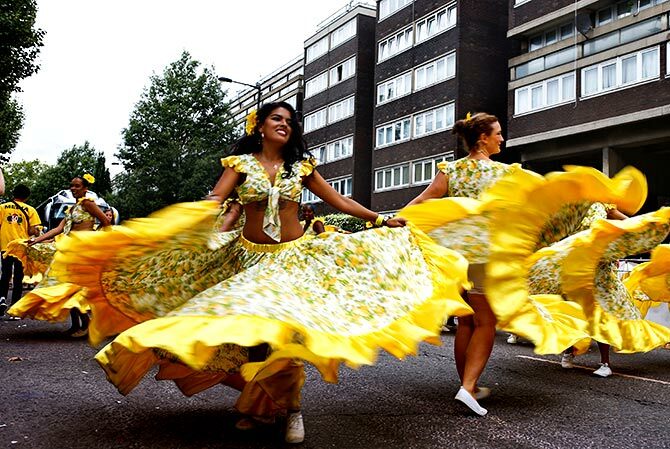 The Carnival comes to London! 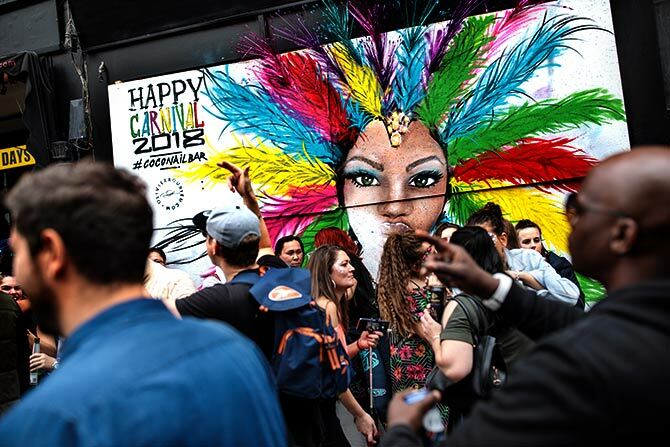 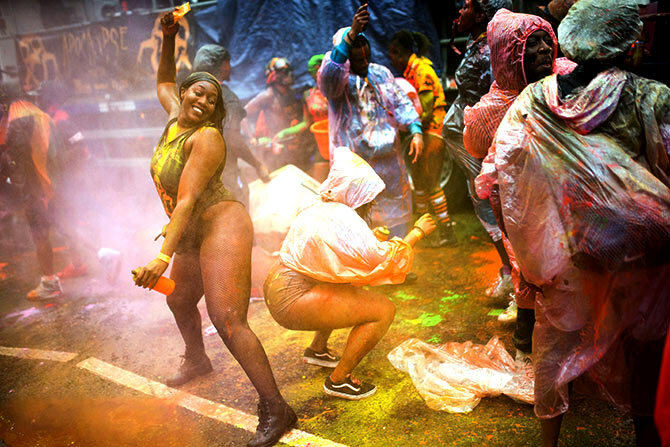 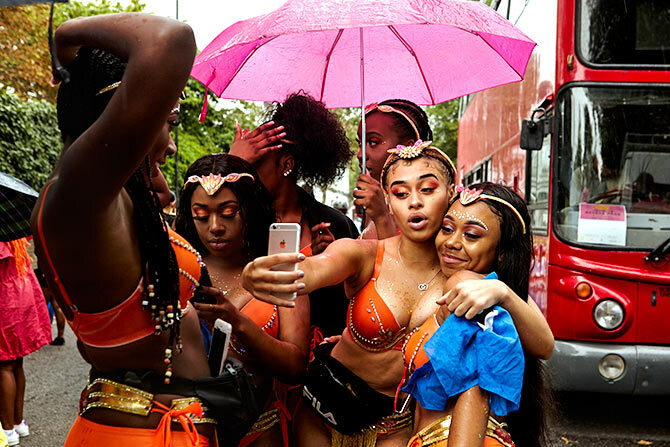 The streets of north London in Britain were awash with colour and glitter as revellers took over the streets to celebrate the Notting Hill Carnival -- now in its 59th year. 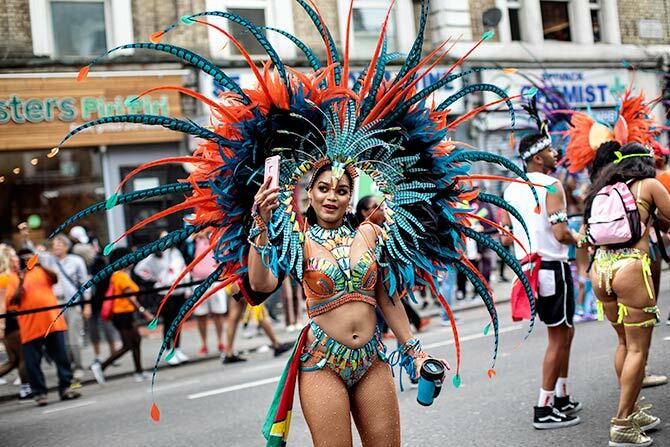 Take a look at the celebrations as around 2 million people marched along the streets of west London in Caribbean costumes over two days.